Ch. Malla Reddy is a businessman and MP from malkajgiri in 2014. Malla Reddy was born and grew in Hyderabad in Telangana itself. Malla Reddy is a common man born in a farmer's family. Malla Reddy, who started a dairy business on a bicycle, grew up as head of the Malla Reddy Group of Institution. Malla Reddy is a very straight man and a very active man. Malla Reddy born on 9 September 1953 Hyderabad, Telangana. Children's. Two sons & One daughter. Malla Reddy's career has begun with the dairy business as mentioned earlier. Malla Reddy Group of Institutions. Malla Reddy Insitute of Engineering & Technology. Malla Reddy Institue Of Medical Sciences. Malla Reddy Dental College For Women's. Malla Reddy College Of Teacher Education. Malla Reddy Institutions in Hyderabad is located in 350 acres. 60 thousand students are studying at the Malla Reddy Group of Institutions. More than 10 thousand Employees are working at Malla Reddy Group Institutions. On 19 March 2014, he joined the Telugu Desam Party. 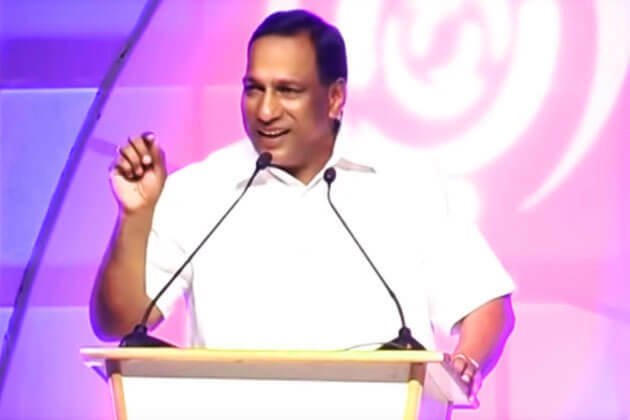 He was selected by the party to contest a seat on 9 April 2014 and on 16 May 2014 went on to be elected as a member of parliament(MP) for Malkajgiri. The largest Constituency in India is Malkajgiri Constituency, which is the largest constituency with 32 lakh voters. He was the only Member of Parliament for the Telugu Desam Party to win a seat in Telangana. In June 2016, Malla Reddy switched parties to the Telangana Rashtra Samithi. Malla Reddy's father name Mallareddy and his grandfather name also Malla Reddy. Ch. Malla Reddy also called as Hatric Malla Reddy. Malla Reddy was very hard to believe that the man who was raised had difficulty. Malla Reddy starts with 3 branches starting with any business. Malla Reddy is a very active person mentally and physically. He regularly performs yoga on the morning gym on the evening. Malla Reddy Speech is very motivated. He is attracted to many of his speech. A person with a positive mind.